Adding base to water. 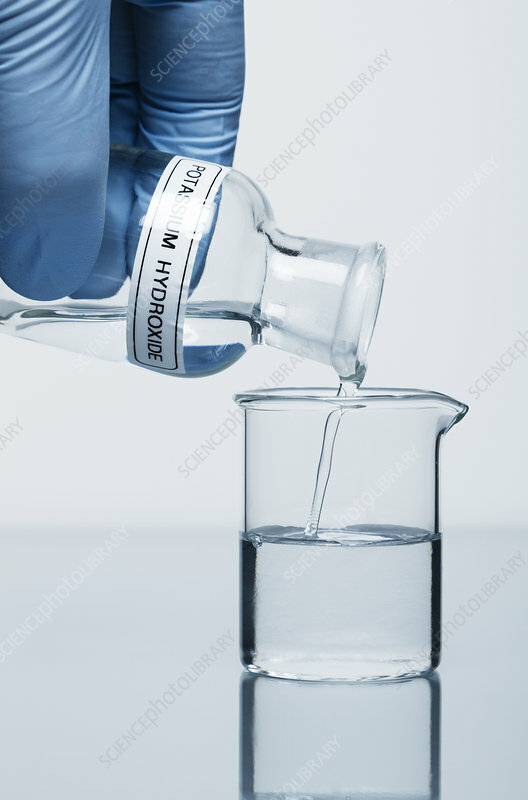 Potassium hydroxide (KOH), 1 M concentration, is poured from a reagent bottle into a beaker that contains water. When diluting strong bases, the base should be added to water, not the other way around.